Search Type Artist Search Title Search Label Search Genre Search Barcode Search Cat Number Search Format All Formats --------------------- All Vinyl All CDs --------------------- Vinyl - LP Vinyl - 45 & 7" Vinyl - EP Vinyl - 10" Vinyl - 12" Vinyl - 78 Vinyl - Picture Disc --------------------- CD Single Cassette Video & DVD Book Clothing Memorabilia & Misc. 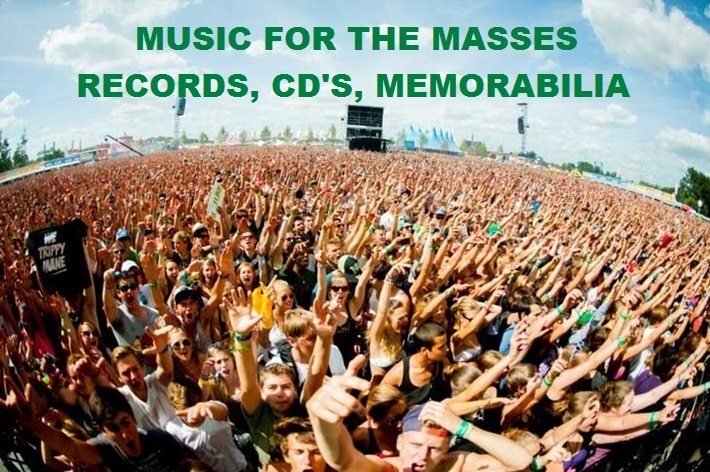 We are a long established UK based mail order company supplying a wide range of rare, collectable and deleted vinyl records, CDs and music memorabilia from the 1950's to the present day. Our main specialist areas are Punk, New Wave, Rock, Heavy Metal, Grunge, Thrash/Death Metal, NWOBHM, AOR, Classic Rock, Pop, Old Skool Dance, House, Techno, Rap, R&B, Indie, Alternative, Britpop, Progressive Rock, Folk, Blues, 70`s Rock, and Golden Oldies. Since starting our business in 1989 we have sent tens of thousands of items to customers in every corner of the World. We have also traded extensively at record fairs all over Europe, taking our stall to 17 different countries. Nowadays we deal exclusively by mail order over the internet. We pride ourselves on our specialist knowledge, speed and quality of service, and condition of our stock. We are honest and reliable and you will always find us to be helpful, friendly and easy to deal with. All images contained in this website are copyrighted to Roxcalibur Records Ltd. Any person who downloads images from this site to use for other purposes such as ebay auctions will face legal action. In addition, we are also members of ebay's VERO programme and will remove any ebay listings containing images which have been downloaded from this site. This will also place your ebay account in jeopardy, you have been warned.